Order in the next 1 hour 24 minutes for delivery on Thursday, April 25. 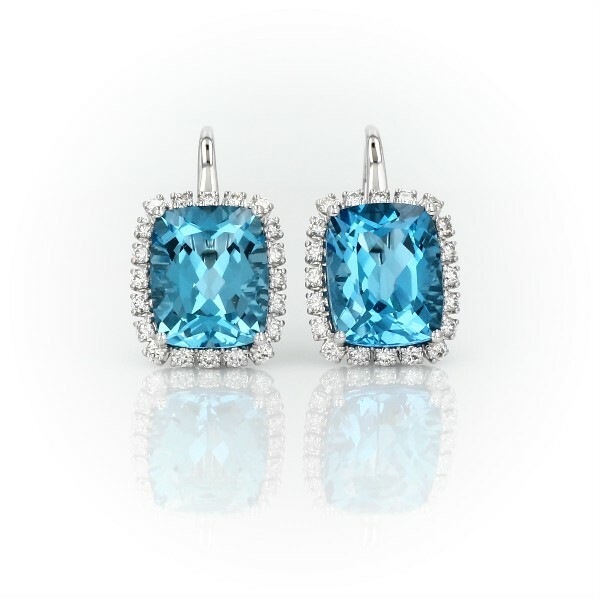 Two faceted cushion-cut Swiss topaz glint with bold, light-catching color. These earrings are enlivened with a brilliant halo of round diamonds and accentuated by 14k white gold settings.